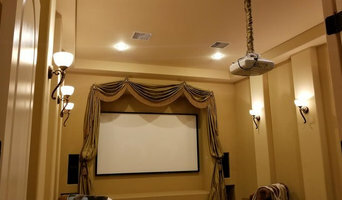 Pro Audio’s team consists of professionals who have been in the home theater business for 10 years. We don’t stop working until the job meets our needs, and exceeds your expectations. We love what we do and consider our work to be our play. When it comes to your audio/video needs, no job is too big or small. We’re here to help you with all of your residential/commercial needs. Our goal is to provide you with a superior customer experience. We love our customers and welcome your feedback and suggestions. Use our Contact Us page to tell us what we’re doing right or what we can improve on. "National Security Alarms (NSA Alarms) is a leading security systems provider for homes, businesses and government agencies in the Las Vegas area. Customers who demand the most reliable protection choose NSA Alarms. Security systems from NSA Alarms can monitor burglary, fire, smoke, carbon monoxide, flooding, medical emergencies and more. Don't forget to ask about our state-of-the-art smart home security solutions. We can help you control access to your home or business with smart door locks. Give you the ability to control energy efficiency with smart thermostats, wall outlets and light bulbs. We can even help you keep an eye on your home or business with smart video surveillance cameras that will notify you when there is detected motion, and even store video clips in the cloud that can be accessed from any smart phone, tablet or computer. NSA Alarms is an authorized dealer of Moni Smart Security (Monitronics) home and business security products and services. Along with our local Las Vegas office located in the south west of the valley, we also serve customers throughout Nevada, Ohio, Indiana, and Minnesota, and have been doing so for over 10 years. We pride ourselves on our unsurpassed customer service, which makes us one of the best alarm companies in Las Vegas Nevada and the other many cities we serve. Whether you own a home or business, we will prepare a comprehensive evaluation of your security needs and provide you with quality security products and services to meet those needs. National Security Alarms is a Proud Authorized Dealer of 2GIG, Honeywell, Qolsys and GE Security products! Why Choose Us? Fully licensed and insured Free estimates Free Equipment Free Installation Call us today at 702-736-1305 or visit us at: <a rel="nofollow" target="_blank" href="http://nsasecuritysystems.com">http://nsasecuritysystems.com</a>"
We provide residential owners with sustainable native plant landscaping design and installation, and maintenance services. We create natural landscape designs that are appropriate for each client's particular site, creating a self-sustaining environment that will meet your unique needs. We are Summerlin Auto RV Boat Mobile Detailing in Las Vegas and we provide expert Headlight Restoration Cleaning, Car Waxing, Buffing and Detail services. System 1 Media offices in Las Vegas, NV and in central Arkansas. Since our company started operations in 2006, we’ve treated every customer like they were a part of our family. Other companies may offer similar services, but our services come with a personal touch and a genuine concern for your home or business. What services do Las Vegas outdoor audio and visual system professionals provide? For the most part, people hire outdoor entertainment system providers for backyard installations. After all, pool parties and barbecues are much more fun when there is music to enjoy. How do they do it? Your Nevada outdoor custom audio system technician can work with your landscape designer or architect to install weather-resistant outdoor speakers, discreetly buried into your landscaping with no loss of sound. Here are some related professionals and vendors to complement the work of outdoor lighting & audio/visual systems: Landscape Architects & Landscape Designers, Landscape Contractors, Decks, Patios & Outdoor Enclosures, Siding & Exteriors. Home theaters are moving outdoors, too. Sports fans can grill without missing the game, and families can invite neighborhood friends over for movie nights. Special weatherized flat-screen TVs are coated to minimize glare. Imagine your Las Vegas, NV backyard with a custom-designed outdoor theater system — complete with a large projection screen. It makes backyard entertaining easy. Find outdoor audio and visual system professionals on Houzz. 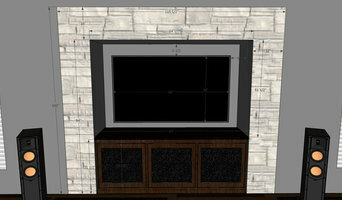 Look in Houzz’s Professionals section to find Las Vegas, NV outdoor audio and visual system experts. Narrow your search to the nearest city or metro area for a list of nearby businesses. Get contact information, read reviews and look at completed Nevada custom outdoor sound system projects.